GameXplain just wrapped up a live stream for Sonic Boom: Fire & Ice showcasing the game’s first hour. We’ve posted the archived version below. Sonic Boom: Fire & Ice is now available in North America, and 3DS owners in Europe will be able to play it starting on Friday. See the launch trailer below. Two new 3DS games are out today at retail: River City: Tokyo Rumble and Sonic Boom: Fire & Ice. If you’re not interested in the physical versions, going digital on the eShop is an option. 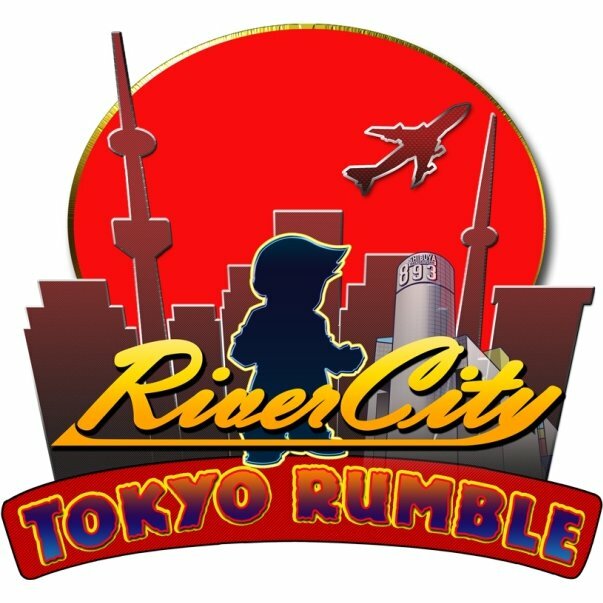 River City: Tokyo Rumble takes up 1,263 blocks (157.875 MB). Meanwhile, Sonic Boom: Fire & Ice requires 13,268 (1,658.5 MB) blocks. 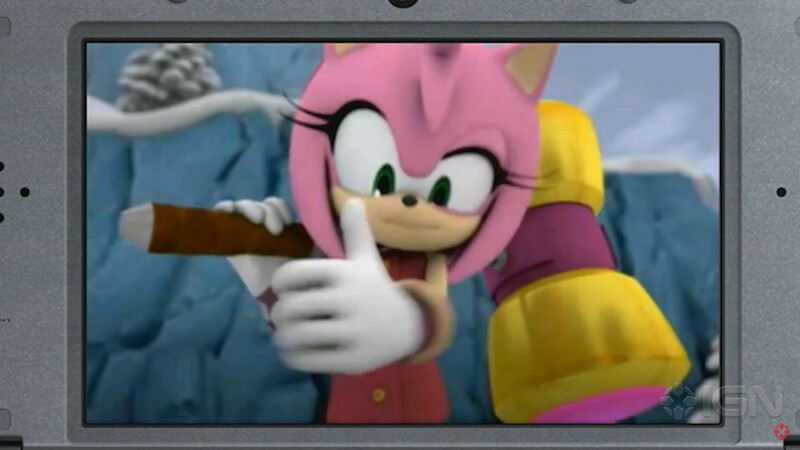 IGN has just uploaded a video containing the first 15 minutes of Sonic Boom: Fire & Ice to their YouTube channel. You can watch the video below. 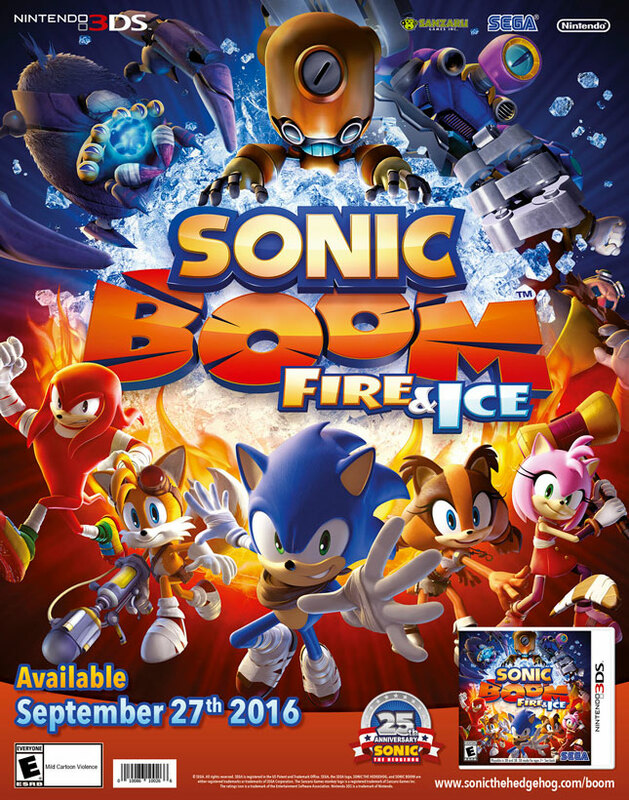 Sonic Boom: Fire & Ice will be out in just a few days, but some publications have the game early. Watch 30 minutes of footage below from a live stream hosted by ntower. 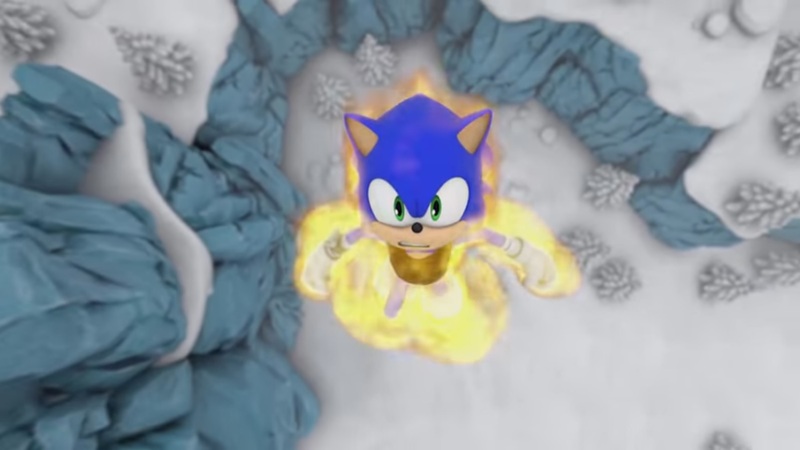 Today, SEGA published three more character action videos for Sonic Boom: Fire & Ice. Find gameplay videos based on Sticks, Tails, and Knuckles below. 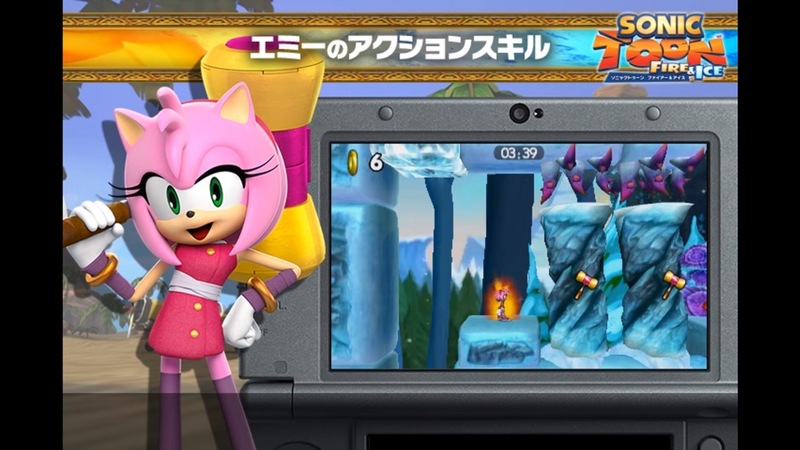 A new Japanese Sonic Boom: Fire & Ice video specifically focuses on the action skills for Amy. We’ve posted it below. 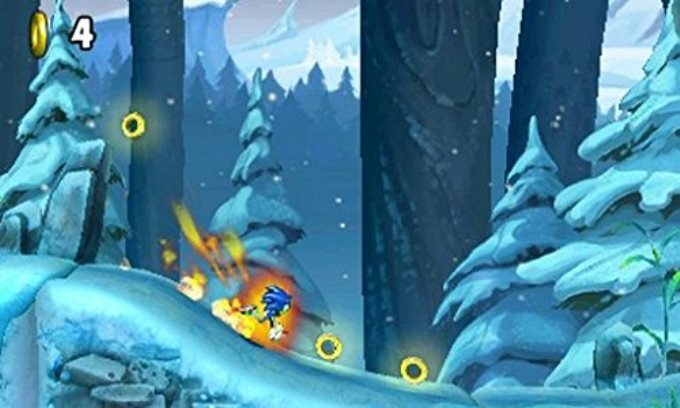 During a TGS 2016 stream this week, SEGA showed off the latest live gameplay from Sonic Boom: Fire & Ice. View some footage from the Japanese version below. GameStop is offering an exclusive pre-order bonus for Sonic Boom: Fire & Ice. If you reserve it at the retailer, you’ll receive the poster pictured above. The offer is valid both online and in-store. Those who pre-order or pick up Sonic Boom upon release will also be entitled to the “Launch Edition”. 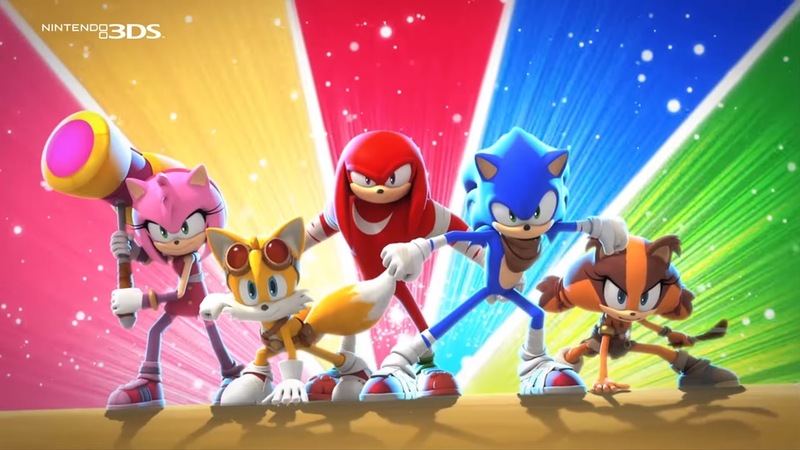 The package includes three episodes of the Sonic Boom animated series on a bonus DVD. The Nintendo UK store is offering a pre-order bonus for Sonic Boom Fire & Ice on its web store. 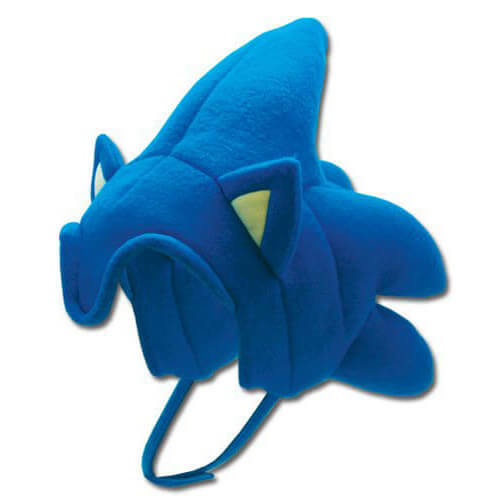 If you reserve the game, you’ll be provided with the Sonic hat pictured above. 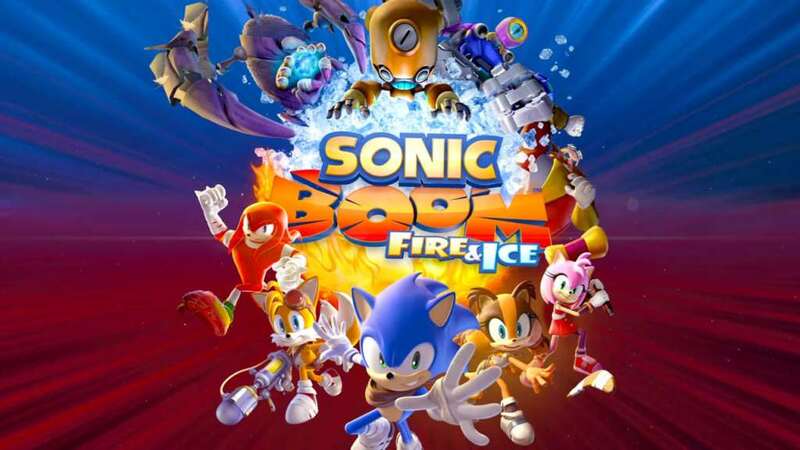 You can pre-order Sonic Boom Fire & Ice here.